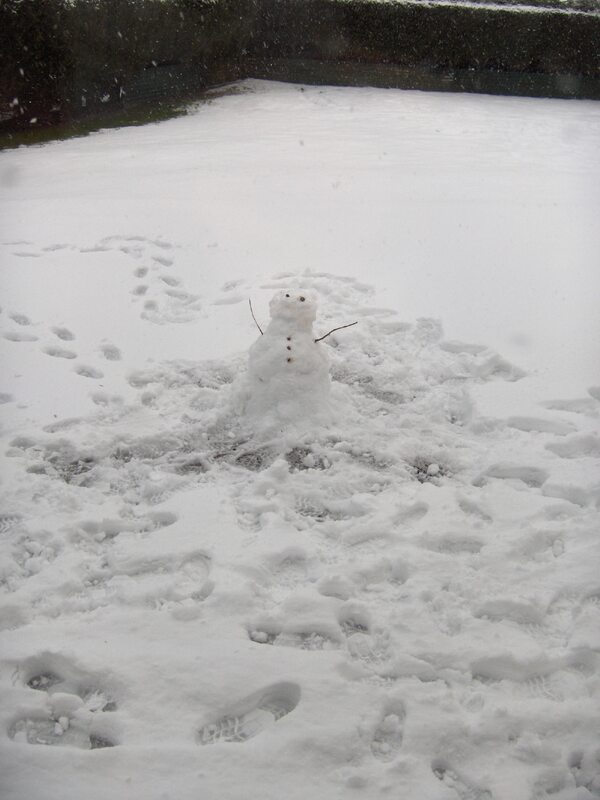 As predicted on Wednesday, it did take all week for real snow to fall. Friday night we had a proper dusting, though it took until Sunday – after nearly 12 hours of blizzardy conditions – for our lawn to be completely covered, that grass is getting long! 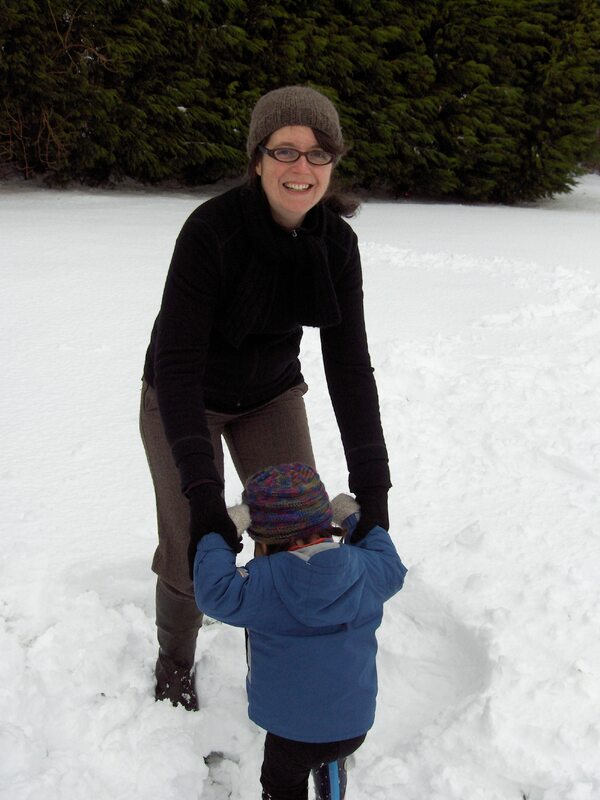 Although we had some great snowfalls last winter in the Lou, it was often just too cold for snow. And the wee one only really got walking by the start of February, so we stayed indoors practising that skill until the weather improved. 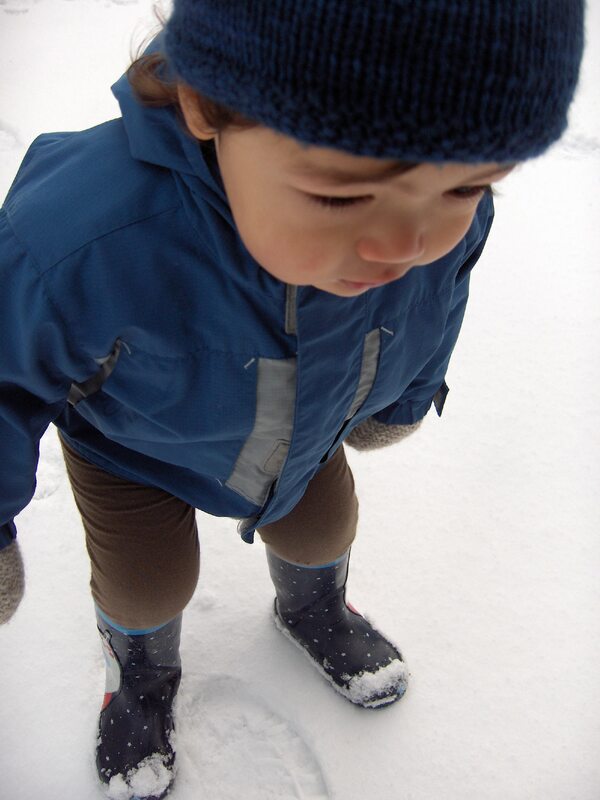 So this weekend was his first real taste of snow. Like the sand, he was not really sure what to make of it at first. 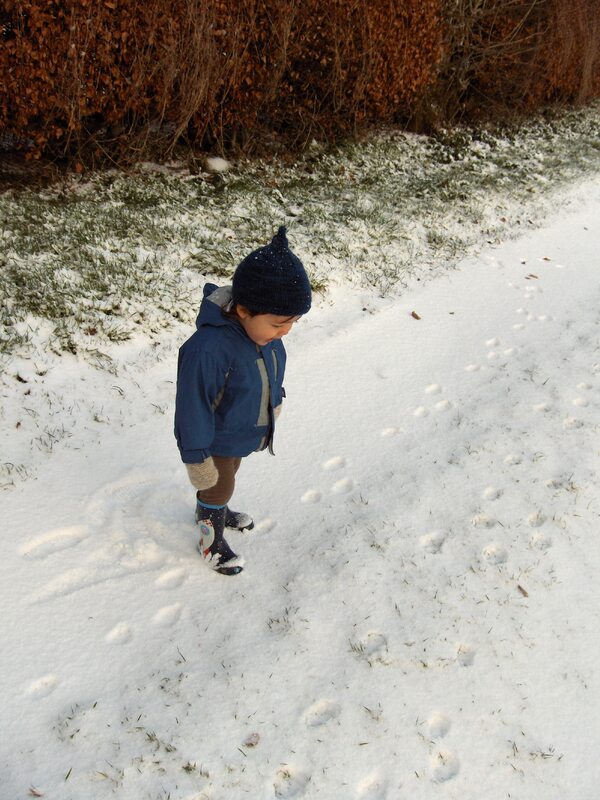 We discovered the tracks of a local fox as we trekked down the driveway to see the condition of the road. The drive was also peppered with pheasant and partridge tracks, and we saw lots of tiny birdy feet marks around the feeder we set up last week. Later that morning we ventured into St Andrews, which saw rather less snow, and had a wander in the courtyard of St Salvator’s Chapel. 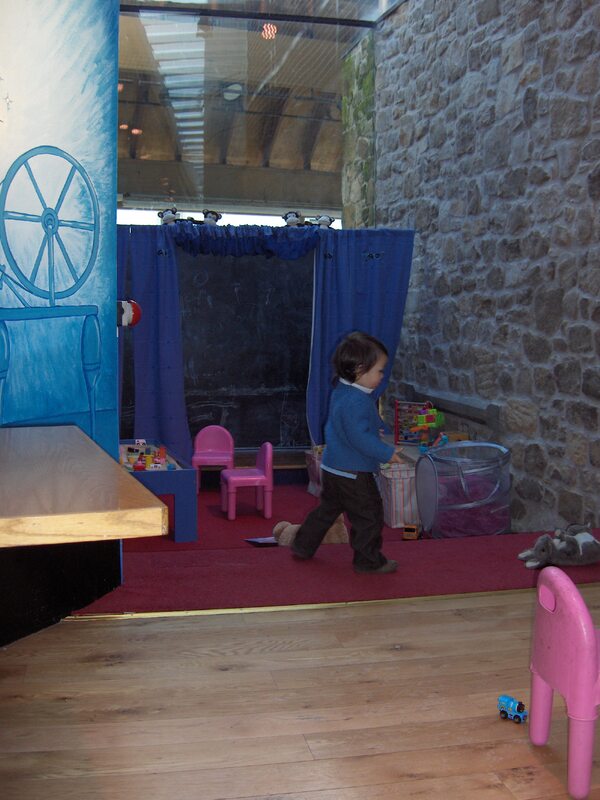 We also had a cuppa and a little play in the Byre Theatre, which is fast becoming a favourite haunt as it is wonderfully child-friendly. On the way home I scored a teeny rattan stool for Kazuo at the local Recycling Centre…I am hoping for more freegan bargains like that as we get to know our way around the community. 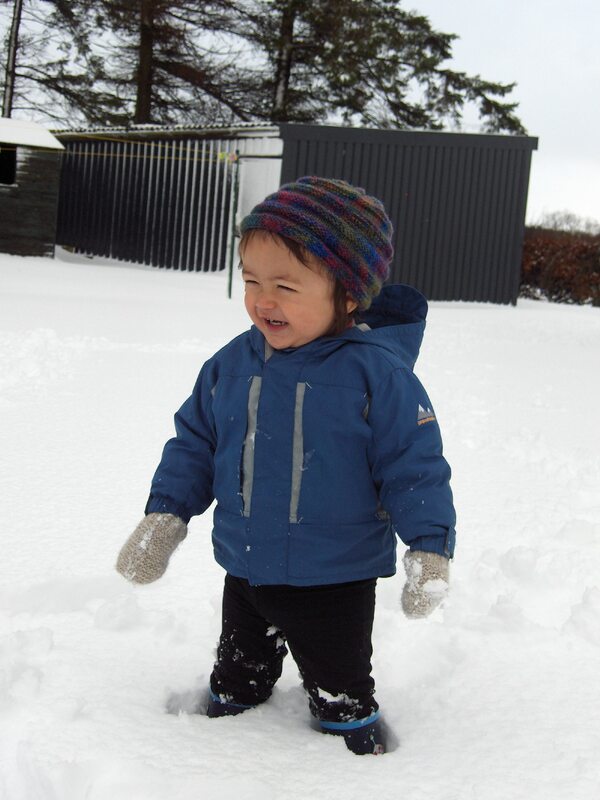 The next morning, Dada got his comeuppance while horsing about in the deeper snow of the bottom of the garden…Kaz thought Dada’s tumbles in the snow were hilarious. The snow continues on today, and probably for the rest of the week, which is very early for the UK, and perhaps the most comprehensive dumping I have ever witnessed. It is rather beautiful, but somewhat inconvenient – driving is kinda hazardous, the car got totally stuck in the icy driveway this evening, and the exchange of the faulty gas tank that should have been happened a month ago and was delayed until today has been indefinitely cancelled…and no promise when they will be able to fill up our unusually empty tank (kept low while waiting for the tank exchange) due to the adverse weather conditions. 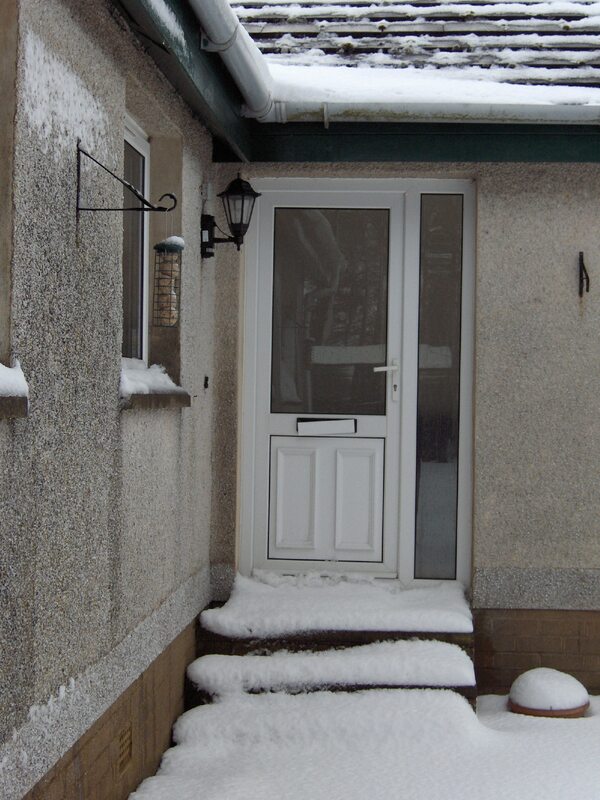 We are now on emergency heating and hot water rations in case it takes them more than a week! 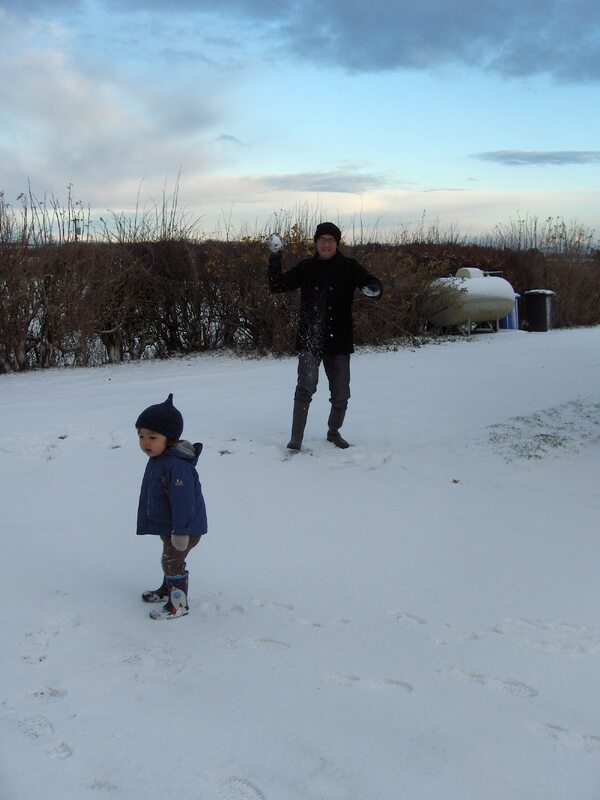 Akira managed to chug slowly into work in the car this morning, so Kazuo and I ventured out in a break in the snow and made tiny Mr Snowman, who is nearly covered again now! 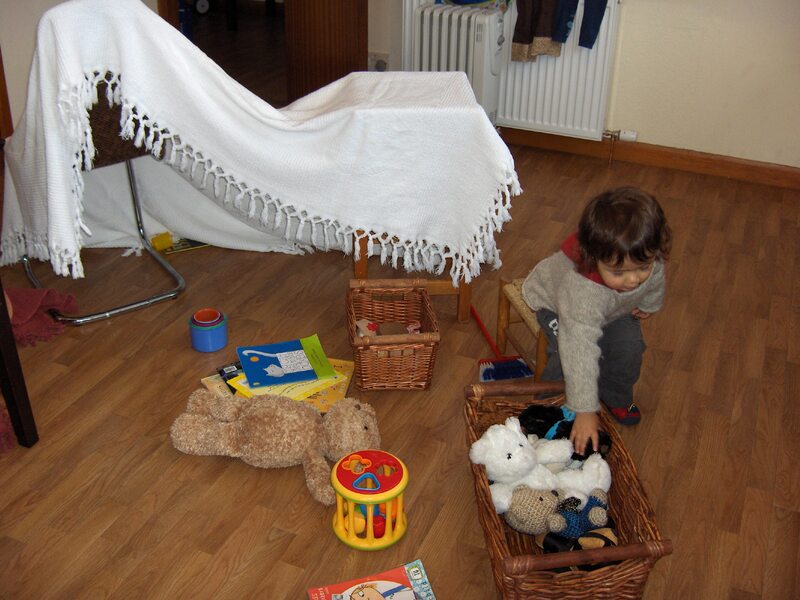 After a skype chat to Nana, we decided to make a tent in the kitchen (c0mplete with teddies, books, the new stool and some fake sandwiches) and we have had a lovely snowed-in Monday morning. I do hope I can come up with a few new tricks to get us through what might be a long week of keeping out of the cold. You would be very welcome…though of course all the airports are closed! Just delightful – posted one on my desktop!! Scrounge a few large boxes from town one day and keep them for making boats, trains etc – it might be a long cold winter indoors! You can colour them, put seats in them. Hope the gas tank is replaced soon! !